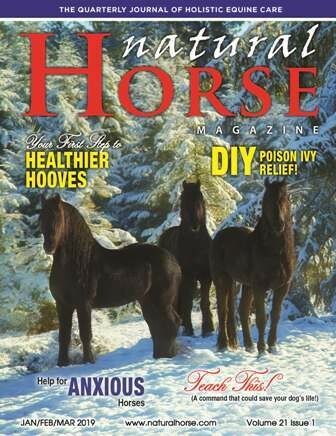 Natural Horse Magazine is a unique publication that is dedicated to the continuing education of the horse caregiver and rider.We focus on holistic equine care--humane and natural alternatives to today’s traditional means of horse care and training. Our goal is to expand the reader’s knowledge and understanding of complementary methods and care that align with a horse’s true nature to improve the relationship between human and animal and bring greater well-being to the horse and his world. This invaluable resource is available for a lifetime subscription for just $25 to access over 300 in-depth articles. The latest issues are digital interactive format that have clickable videos with some articles.